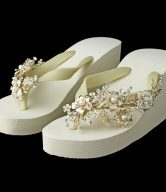 Available in 6 color options – Gold/Clear, Silver/Light Amethyst, Silver/Light Blue, Silver/Clear, Silver/Pink and Silver/Red. 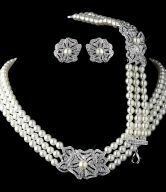 Matching Bridal Jewelry Set available (sold separately). 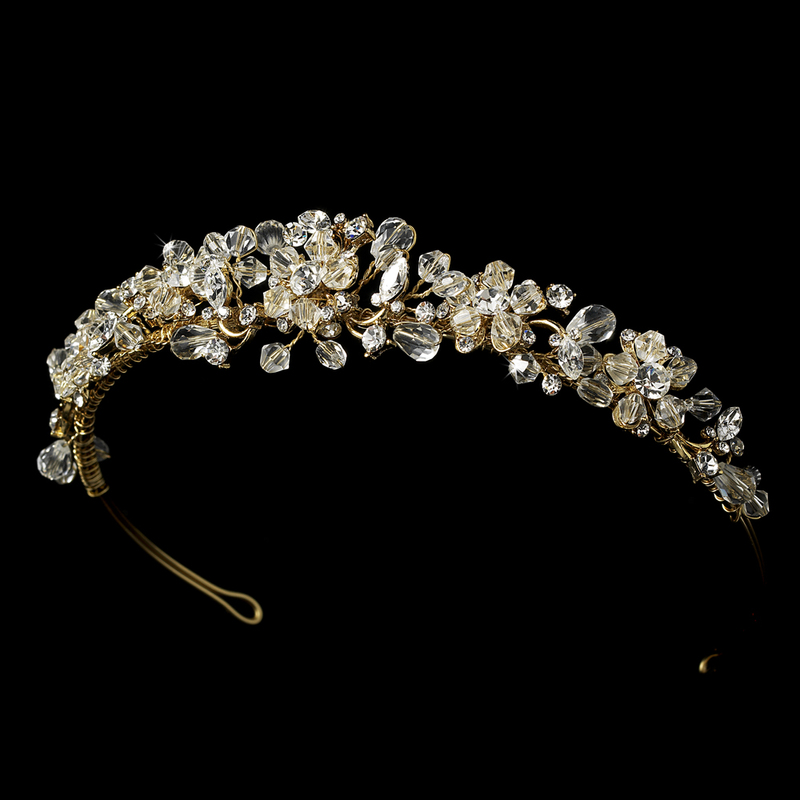 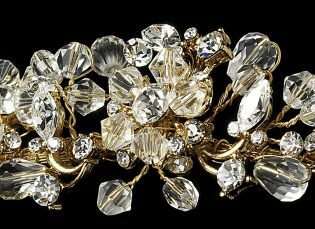 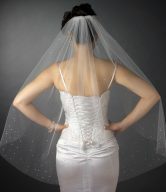 The Couture Swarovski Crystal Bridal Headpiece explodes with sparkle and shine! 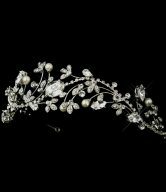 A beautiful hand-made floral tiara that contains a mixture of clear and colored crystal beading, scattered Swarovski Crystals, and sparkling colored rhinestones arranged in a stunning display. The perfect finishing touch to your bridal hairstyle, this crystal bridal tiara is perfect for your modern or classic wedding and a gorgeous accessory for any celebration! The crystal detailing measures a generous 7-1/2″ long by 1-1/4″ wide along an 11-1/2″ long sterling silver-plated band. 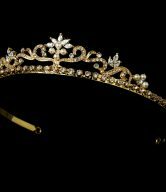 The gentle center peak of the tiara measures just over 1″ tall. 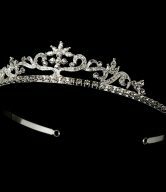 Pin loops are located at each end of the tiara that allow you to fasten the headpiece into your hair with bobby pins for added security and comfort. 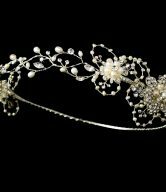 The Couture Swarovski Crystal Bridal Headpiece is available in 6 color options – Gold with Clear accents, Silver with Light Amethyst accents, Silver with Light Blue accents, Silver with Clear accents, Silver with Pink accents and Silver with Red accents.